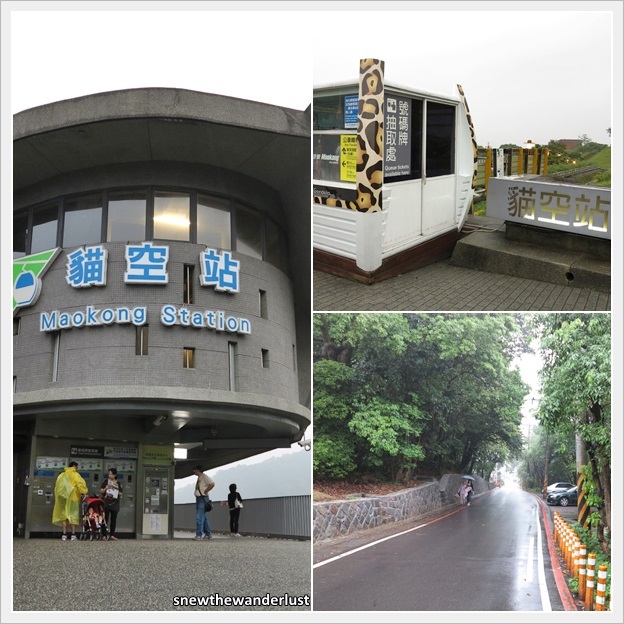 Maokong 猫空, literally translated as "No Cat" in Chinese, is located on a hill in the Southeast corner of Taipei City. It doesn't mean that Maokong has no cats, but a name that has been derived from "Niao Kang" in native Taiwanese dialect. 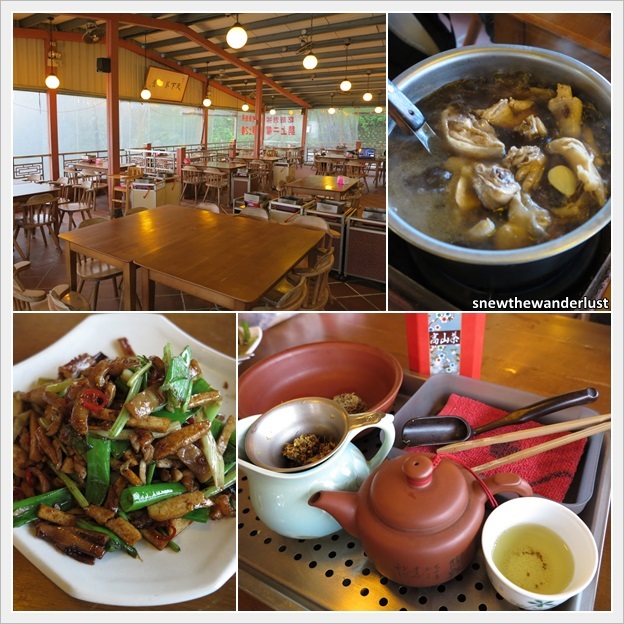 Maokong today is famous as a place for drinking tea, as it was a district classified as tourist tea plantation. Tea plantation is the main draw for tourists to Maokong and the area is now also famed for its beautiful quiet scenery. Getting to Maokong is not difficult. However, the journey does takes a bit of time. 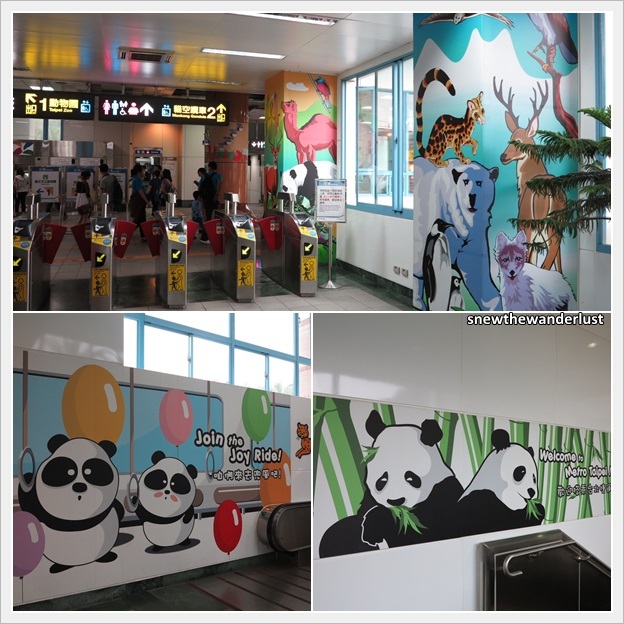 Take the blue MRT line to Zhongxiao Fuxing 忠孝复兴 to change to brown line to Taipei Zoo 动物园. Taipei Zoo is the last station in the brown line. It takes about 30 minutes to reach Taipei Zoo from Zhongxiao Fuxing Station. 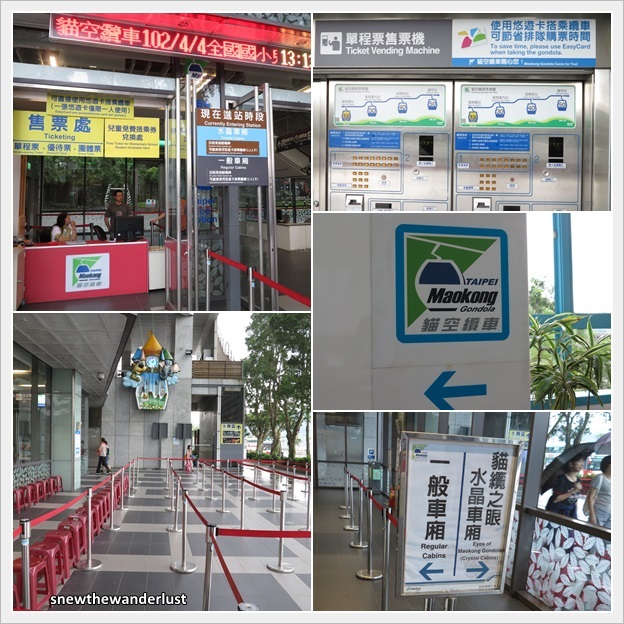 From Taipei Zoo MRT Station, follow the sign to the Maokong Gondola Station. It's a short 5 minutes walk away. 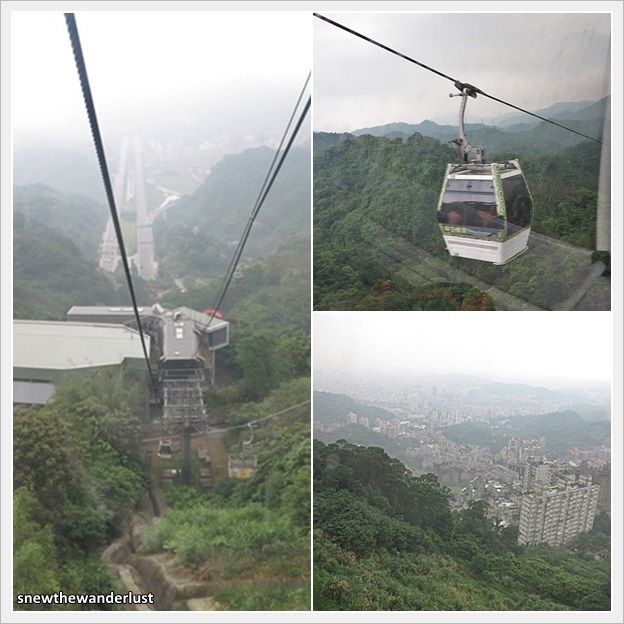 To travel to Maokong, you will need to transfer to the Maokong Gondola. A separate fare for the Maokong Gondola is payable. It cost 50NT per way, which I think is a very reasonable fare. We did choose the Crystal Cabins as Papa Snew and myself feel that our weak hearts couldn't take the glass bottom cabins. The entire journey is a total of 4KM, lasting a good 30 minutes. The journey include 2 stops in between. However, the destination for most passengers is the final stop, Maokong. It started raining slightly as we got up the Maokong Gondola. I was really disappointed as I have done some checks on the weather forecast, and was forecast to start rain only at night, Hence I change the schedule to travel to Maokong in the afternoon. However, the rain started just as we reach Maokong Station just around noon time. The views were all camouflaged under the misty rain. It's in a old shophouse, about 10 minutes walk down the road. Apparently the tea house on the ground floor is a different one from the second floor. The one that "Miss Taiwan" recommended to me is on the second floor. "Ms Taiwan" recommended the "must try" dish as the Caipo Chicken Soup 菜脯鸡汤。Drinking Chinese tea and Chicken Soup doesn't seem to go together in Singapore. I would think it as too much liquid intake in the warm and humid weather. However, it was the perfect combination over in Taiwan. With the weather chilling up after a slight rain, having hot tea and soup with side dishes is just perfect. It was our first try at brewing chinese tea the correct way. The staff were very friendly and showed us how to brew tea. Tie Guan Yin (Iron Buddha) 铁观音 is locally grown over at the plantation at Maokong. However, we decided to try a combination tea of Osmanthus with Pu Er 桂花普洱。I like the Osmanthus scent mixed in the tea with a nice flavour that is not too strong. We spend a good 3 hours chilling there and slowly savouring the aroma of the tea. I guess the rain also kept us there, and finishing a whole pot of chicken soup for 2 person and cups after cups of Chinese tea just makes time pass really fast. The sky managed to clear up as the rain finally stop after 3hours. We finally managed to get a better shot of the scenery. Even though we spent 3hours enjoying the tea, we couldn't finish brewing the tea leaves. The staff vacuum-packed the reminding tea leaves in a packed. We were told to consumed it as soon as possible so as not to lose the flavour of the tea leaves. We strolled back to Maokong Station to meet our friends for dinner. We were late for our dinner appointment with our friends. To get back to Taipei City, the journey takes about 1 hour. That is not taking into consideration the time to walk to Maokong Station and to change from the Gondola Station to the MRT. A safer time would be to account about 1.5-2 hours if you have dinner or other plans back in the Taipei City. In anyway, the trip to Maokong was worth it. It was a nice chill out place for tea and to be away from the city. Before I conclude, 大茶壶 is split into two levels and operated independently now. Apparently, there's some politics between the family and they split the tea house into two. The one that we went is on the second level, and it's open till 6am in the morning. You can enjoy sipping tea with a cool scenic view. If you are lucky, the clouds may hover in, creating a feel of "sipping tea in heaven"!